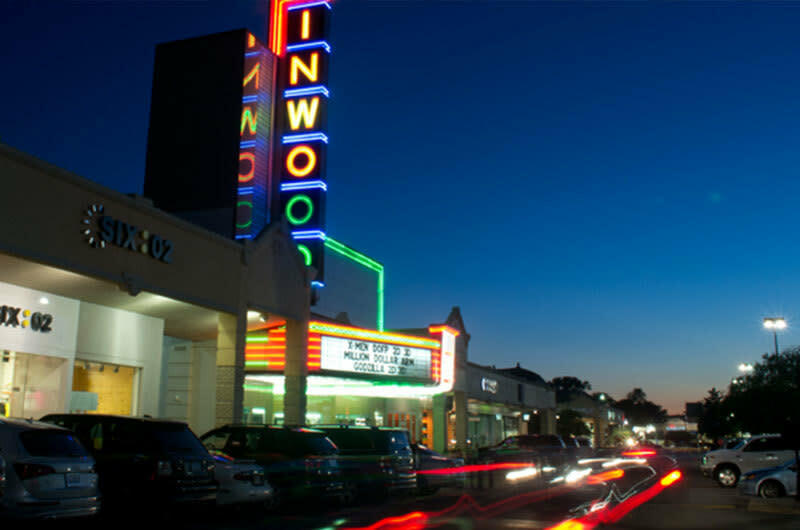 Located just west of the Dallas North Tollwayroad (DNR) and near Love Field, Inwood Village is an eclectic shopping area featuring historic art deco architecture, restaurants, a wide selection of stores and boutiques, and the Inwood Theater. Part of Dallas' shopping scene since 1947, this up-scale area includes Neiman Marcus Last Call, the Gap, White House/Black Market, Nob Hill Hardware, St. Bernard Sports, Six:02, Aaron Brothers and much more. Restaurants and services in Inwood Village include Mesero, Cafe Istanbul, Empire Baking Company, the Boardroom Salon for Men, Hiatus Spa + Retreat, and Face Place. Visit their website for a full directory.